In this inaugural RCN History of Nursing Society Lecture, Professor Alison Fell will look at associations of former war nurses – both trained and volunteer- in France, Belgium and Britain in the 1920s. These groups of what might be called female ‘war veterans’ had both ‘public’ and ‘private’ functions. 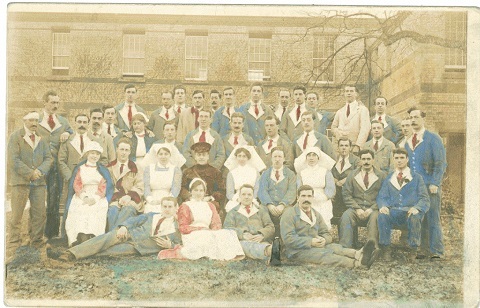 They served on the one hand as pressure groups that lobbied governments for improved rights and increased recognition of former nurses and, on the other, as social networks, as mutually supportive communities to and through which women of different social backgrounds were able to articulate a common identity predicated on their war service. Doors open 6pm and the talk starts at 6.30. It will be followed by a drinks reception from 8-9pm.